The Walking Dead: Episode 1 episodic game becomes available for free on the 360, and Square Enix announces their upcoming installment to the FF13 universe. We all love free stuff, don't we? 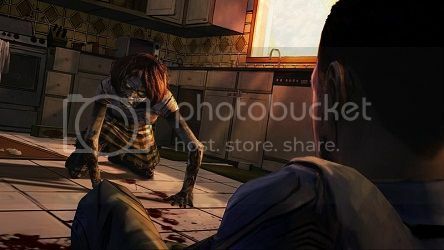 Well, The Walking Dead: Episode 1 is now free on the XBLA. Receiving mass acclaim, this episodic game scored an underdog victory at the Video Game Awards and became 2012's Game of the Year. Beating titles such as Assassin's Creed 3, Black Ops 2, and the rest of 2012's triple-A titles is quite an accomplishment. Unfortunately for PS3 owners (me included), the episode has not yet arrived on the freebie list. Hopefully that will change after another month or so. PS3 owners do get a free release of their own. One of the biggest games of last year on iOS was a game called Jetpack Joyride. It's known for being incredibly addictive, and on the 31st, it will be free on the PSN store. They have now announced Lightning Returns: Final Fantasy XIII. The series has received a lot of criticism for moving away from its roots; however, I thoroughly enjoyed both XIII and XIII-2 and can't wait to see what this game has to offer. This trailer does nothing but make me even more excited for its release sometime next year. A student at the Imperial College in London has created a computer game. It involves playing as Santa and guiding yourself through a platforming maze to get all the presents. Seems simple enough, right? Here's the catch: the levels are randomly generated. If you're interested in trying it out yourself, it's available here. God everything about FF13 is just so horrible I can't help but laugh that they've chosen this universe to make like 5 games on. Very fitting that they destroy 20 years of series tradition on that monstrosity. I just didnt like the fact i couldnt have constant haste in the first of the series. Thats why i didnt finish it or play another one of them. Its like, i didnt get haste in the other FF's to make the game easier, just to make battles pass faster. With this taken away from me, i feel like i am giving extra time for no reason. XIII-2 had platforming segments as well. There was one REALLY annoying section right before the final boss. Final Fantasy games are a joke now. Meh. More western RPG traffic for us.